In Turkey, work safety is just a thing that reduces companies profit. If you care about work safety and want to force companies about that, you’re the enemy of Turkey’s economy. Everyone starts to use words like “destiny”, “We’re praying for them”, “providence”… Because they want to show it as an “accident” and save their asses. Some professors can try to defend companies on TV, which causes these accidents and deaths. Almost everyone in the media does their best to hide reality from public, instead giving us the real news. And after couple of days later, media and government will do their best to make everyone forget about this and they’ll probably be succeed. Grab a coffee, choose a book and enjoy this Sunday with SiJ’s music. Bir kahve yapın, güzel bir kitap seçin ve pazarın tadını çıkarın. The video below taken at May Day protests @ Beşiktaş yesterday. Summary: Police arrests one protester and forces him to wear “puşi” (traditional Kurdish scarf, also political symbol for Kurdish movement) and takes his photograph. Album comes out May 1st. I highly recommend if you’re wondering what happens if you mix synth, ambient and industrial. Albüm 1 Mayıs’ta çıkıyor. Eğer industrial, synth ve ambient bir araya gelince ne olur merak ediyorsanız tavsiye ederim. * Bu postada tavsiyem olan haftalık rapor copy.me’nin hazırladığı “Short Copy” serisi. En son postlarına buradan bakabilirsiniz. / This week’s weekly blog post is from Copy.me. They call it “Short Copy”. You can read latest one here. Can Kazaz’ı Gökim sayesinde keşfettim ve bu kadar geç keşfettiğim için gerçekten üzüldüm. Ben buraya üç favorimi koydum ama siz Soundcloud profilini ziyaret edip tüm işlerine bir bakın. Future Tense, Netizen Report isminde harika bir seri yayınlıyor, takibe almanızı tavsiye ederim. En tazesi burada. / Future Tense’s Netizen Report is one of the must follow serials on the net. You can read the latest one here. Şirketler Çıldırdı! / Corporations Gone Wild! Bobs 2014 Oylamaları Başladı! / Bobs 2014 Ballot Box is Opened! Bobs – Best of Online Activism, bu yıl onuncusu düzenlenen ve online aktivizmi temeline alan dünyanın en büyük sosyal medya yarışmalarından birisi. Birçok farklı dilden adayların katılabildiği bu yarışmaya geçtiğimiz yıldan bu yana Türkçe adaylar da dahil olabiliyor. Jürilerin belirlediği kategori finalistleri tüm internetin katılabileceği şekilde oylamaya açılıyor ve oylama sonucunda da birinciler belirleniyor. Bu yılın ise benim için kesinlikle ayrı bir önemi var. Çünkü “En İyi Blog” kategorisinde Siberuzay Aylağının Günlüğü isimli blogumla (ki şu an oradasınız :) finalistler arasına girdim. Başlangıçta tamamen kendimce notlar almak ve insanlara yardım etmek için kurduğum bu sitenin böyle bir noktaya geldiğini görmek beni gerçekten çok mutlu ediyor. Elbette burayı takip eden, beni destekleyen herkesin de bunda payı var. Finallerden birinci olarak çıkabilir miyim emin değilim, çünkü The Intercept, Euromaydan gibi çok güzel sitelerle aynı kategorideyim. Ancak orada olmak bile bu siteyle iyi bir şeyler yapabildiğimi görmemi sağladı. Eğer beni desteklemek isterseniz aşağıdaki görsele tıklayarak oy verebileceğiniz siteye gidebilirsiniz. Bir çok farklı dalda da tanıdığım ya da takip ettiğim güzel insanlar aday olarak yer alıyor. Kem Gözlere Şiş, Mülksüzleştirme, Yüksekova Haber bunlardan bazıları. Ayrıca Halkın Seçimi – Türkçe bölümü de mevcut. Kimseye haksızlık yapmak istemediğimden özellikle şuna oy verin demek istemiyorum çünkü hepsi o oyları hakediyor, bu yüzden seçim sizin. Bobs 2014 finalists are announced and public voting is opened. 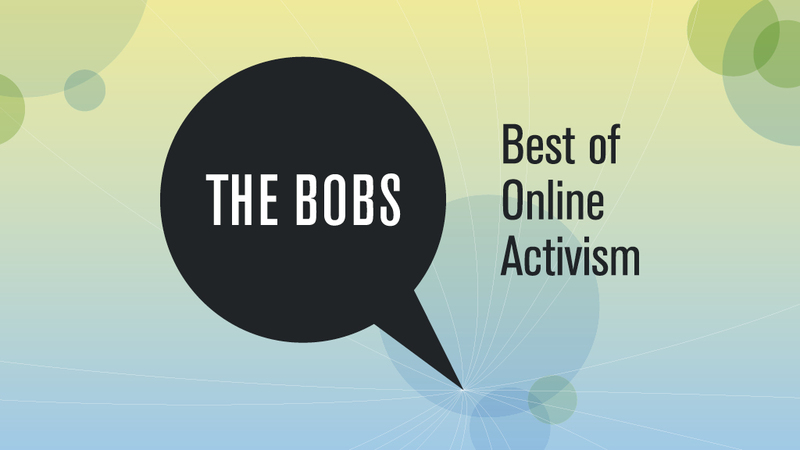 Bobs – Best of Online Activism, one of the biggest social media competition focused on online activism, hits its 10th year. Bobs accepting activist from 14 different languages and Turkish is one of them since last year. Ahmet A. Sabancı is a blogger who specializes in issues of cyberculture. He has been explaining the technical aspects of web censorship and digital surveillance to the Turkish public. He provides substantive information about developments outside Turkey, including the NSA PRISM scandal, in order to inform the public back in Turkey. His detailed knowledge of his subjects helps him boil down complicated issues into terms that are readily understood by the wider public. I really don’t know what to say about that. So, it’ll be better for me if I stop here. If you want to support me on Bobs 2014 you can click the picture below and go to Bobs’ website. Also some of my friends and websites I follow are in finals too. I want to congratulate all of them and I hope they’ll win. Also Zeynep Tufekci wrote a great piece about that topic and she summaries every detail perfectly. You can read that here. 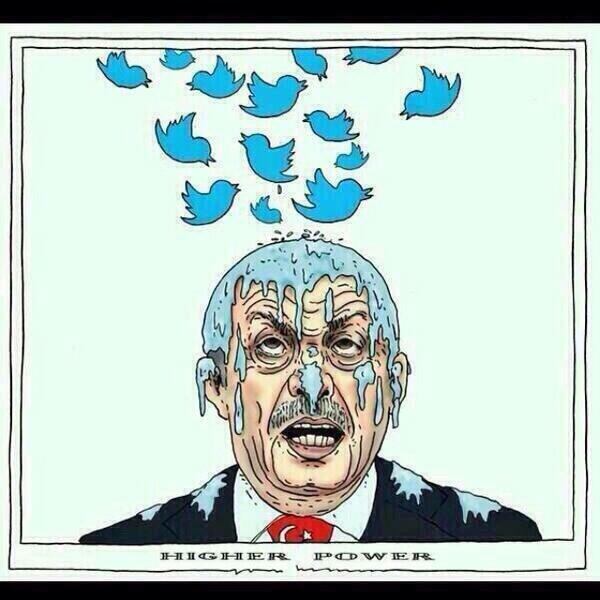 Twitter has become a basic communication tool for the users in Turkey to exercise freedom of speech. The President, The Prime Minister and the commissioners, journalists, bureaucrats, members of the parliament, writers, artists, unionists and activists, people with different political ideologies, oppressed groups and people from different parts of the society can state their opinions and participate in discussions about the current situations. In an environment where traditional media is constantly struggling with government oppression, communication tools like Twitter are crucial for the citizens. The only environment we can access to information without being censored is through the internet. To block an essential tool like Twitter just before the elections is unacceptable. It’s a clear violation of the right to freedom of expression. Violation of the Right To Elect and the Right To Be Elected. Turkey is on the eve of Local Elections. The running parties and the candidates use social media and Twitter frequently for their campaigns. This type of communication gives citizens the opportunity to follow the candidates closely, express their problems and hear the solutions that candidates can offer and also force them to create solutions. Therefore, blocking Twitter not only violates the freedom of speech but also violates the right to elect and to be elected. We are experiencing great political tensions in expectation of the upcoming local elections that will take place on March 30th, 2014. These tensions are further solidified through distrust in the electoral process itself. The internet holds great potential for bringing citizen oversight to this process. It offers platforms and communication mechanisms to rapidly report on injustices and fraud attempts during the election data. Given current circumstances in Turkey, the internet is expected to play a crucial role in the supervision of the casting and counting of votes and hence in assuring the integrity and safety of the elections. The current blocking of internet based services is destructive to these citizen initiatives, increases existing social and political tensions, and negatively affects the trust in the electoral process. We are hence very concerned about both the integrity and safety of the upcoming elections. The government points to court rulings to justify the blocking of Twitter. However, by now we are unsure about “whose” courts and rulings we can rely on. In the hands of the government, “legal grounds” are interpreted excessively or simply manipulated, leading to increasing distrust in the legal system. The Presidency of Telecommunications (Telekomunikasyon Iletisim Baskanligi or simply TIB) plays a precarious role in the enforcement of these legal rulings. In some past cases, they have abstained from taking action on select court rulings, arguing that it is beyond their legal authority. They have stated that TIB only has the authority to enforce blocking decisions when these are based on catalogued crimes. Yet in some cases, they have overstepped their authority and enforced rulings on blocking Internet based services. The arbitrary enforcement of legal rulings is in tune with the repeated threats made public by Prime Minister Erdoğan who most recently announced “we will eradicate social networks like Twitter”. An “eclipse of reason” is the current state of the Turkish government. It is not possible to articulate a rational explanation for the new regulations, including the new Internet laws, and their enforcement within a framework of governance informed by basic democratic values. We can only regard these intrusive interventions as acts of despair and a lack of intellect. These shameful acts of censorship are unacceptable. We call for action against censorship and the chilling of voices on the Internet, now!